Collaborative divorce is designed to be faster and better. 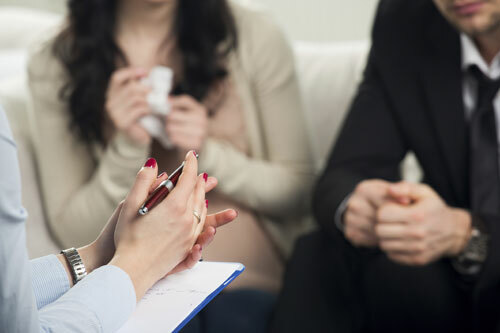 At morse law group we have seen firsthand how collaborative divorce can not only improve the overall experience of the legal process, but leave all parties and their children in a better post-divorce relationship in the long run. Traditionally, divorce can be a combative and destructive experience that not only dissolves a marriage, but often poisons an already strained relationship. Especially in families where children are involved, a divorce does not spell the end of your relationship with your ex-spouse, but adversarial divorces are notorious for creating toxic relationships. While any divorce is likely to be a painful experience, the collaborative divorce process puts the focus on negotiation and the preservation of dignity for both parties. Collaborative divorce encourages parties to resolve their differences justly and equitably. The entire collaborative divorce team relies upon an atmosphere of honesty, cooperation, integrity and professionalism. The benefits of collaborative divorce. Collaborative divorce is not a viable option for every couple, particularly when abuse or violence has taken place leading up to the dissolution, but particularly for parents, collaborative divorce is a beneficial option for a variety of reasons. Without having to take a constant adversarial stance, issues such as child custody, spousal maintenance, property division, and discovery of financial information, which can drag on in court for months, can sometimes be settled in a few private collaboration sessions. In a collaborative divorce, Morse Law Group will help you make informed choices for your future and your children. The goal is to help the divorcing couple work successfully within the collaborative divorce structure. Our goal is to achieve a positive resolution that minimizes the negative economic, social, and emotional consequences that families often experience in traditional adversarial divorce processes. While you are in control of your decisions, you will be represented by an attorney who will advise you of the legal ramifications of your decisions. Both sides still have attorneys, they just agree to be open, have full disclosure, and agree to resolve the conflict outside of the courtroom. Litigation is a matter of public record which can expose the personal details of your divorce to the public. Not so with collaborative divorce. Adversarial divorces can encourage parents to attack one another in an effort to “win.” Unfortunately, this approach can profoundly impact your children. Couples who work collaboratively on the terms of their parenting plan are more likely to have a more positive, workable post-divorce relationship within which to parent their children. Whether you want to negotiate a reasonable settlement through a collaborative divorce process, or need to pursue a traditional adversarial divorce, Judith Morse and her team have the experience and ability to provide reliable and effective representation. Contact our Phoenix, Arizona office today to schedule an appointment.